Several weeks ago a man called asking me for a program to heal bone fractures. His son recently was diagnosed with multiple bone fractures in his ankle. I have been counseling individuals regarding natural treatments for healing bone fractures and injury for the past 20 years, and quickly provided a comprehensive program for his son. I share the program details (below) so that all readers (including you) can benefit from it as needed. Clearly, the need for such a program is great. According to the American Academy of Orthopaedic Surgeons (AAOS), about six million individuals suffer fractures each year in North America. 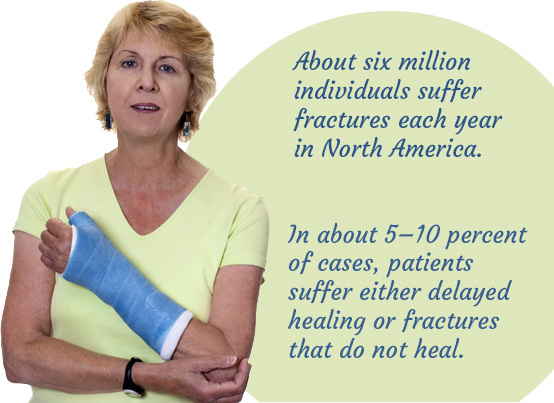 In about 5–10 percent of cases, patients suffer either delayed healing or fractures that do not heal. The bone fracture program I set forth below also works well with other types of bone problems, including broken bones, bone surgery, osteoporosis, and wisdom tooth removal. The first element of the program consists of Foundational Supplements. This group of supplements ensures the body is being supplied with all of the basic elements needed for optimal function. The foundational supplements consists of 1) a therapeutic multivitamin and mineral formula, 2) a complete buffered Vitamin C with antioxidants formula, 3) an essential fatty acids supplement, and 4) a high-RNA superfoods formula. Our Foundational Supplements are described in great detail on the HPDI website where we provide a free downloadable e-book “The Need for Foundational Supplements” (.pdf). Suffice it to say that the foundational supplements are a essential part of the program that ensure healing will take place quickly and effectively. I encourage everyone to become familiar with these materials as they are basic to any healing program. The second element of the program for healing bone fractures consists of Enhancement Formulas that strengthen the body as it relates to dealing with the damaging effects of bone fractures. These include a Vitamin D3 formula with the synergistic nutrients of Vitamin A and Vitamin K2 that are required for the rebuilding of bone as well as strengthening the body in many other ways. I formulated the HPDI Vitamin D3 Plus formula to specifically address this need. A second Enhancement Formula in this program is our comprehensive Bone Guardian formula that is based upon micronized veal bone that provides hydroxyapatite – the basic component of bone structures. Whereas the Vitamin D3 Plus formula builds the bone matrix, the Bone Guardian fills in the matrix with materials such as calcium, phosphorus, magnesium, boron, zinc, manganese, copper, silica, and strontium. A third Enhancement Formula to the program is additional amounts of Vitamin C. Vitamin C is known to participate in every step of the process of building collagen – a key component of bone. Vitamin C has been shown to increase bone mass density. We recommend slowly increasing your intake of buffered Vitamin C until you reach your bowel tolerance. This can be accomplished by increasing your intake of foundational supplements, including HPDI’s PRO-C™ or Ultimate Protector™ formulas, or at a somewhat lower cost by using Buffered C tablets or powder. HPDI’s Joint Health Formula includes the ingredients glucosamine hydrochloride, MSM, and sea cucumber (a significant source of chondroiten sulfate) in addition to anti-inflammatory substances such as turmeric, rutin, and grape seed extract that have been extremely helpful in both repairing connective tissue and reducing pain and inflammation. A second strongly recommended condition-specific formula is proteolytic enzymes. Because it is highly likely in the case of bone fractures and injury that there is significant tissue damage, a formula with pancreatic and plant enzymes as well as anti-inflammatories is extremely helpful is clearing out the damaged tissue. This gives the body the opportunity to begin the rebuilding process much sooner. Our recommended PROLYT formula contains the proteolytic enzymes bromelain, trypsin (pancreatic enzyme), and chymotrypsin (pancreatic enzyme), and the polyphenols/bioflavonoids turmeric extract (95% curcuminoids), quercetin and oligomeric proanthocyanidins from grape seed extract. This formula when taken on an empty stomach between meals is quickly absorbed into the bloodstream and goes to work cleaning up any damaged tissues in the area surrounding a fracture and assists in reducing pain and inflammation. PRO-C™ and/or Ultimate Protector™ 2 caps 2 caps 2 caps Take with meals or with snack. Bone Guardian 3 tabs 3 tabs Take with meals. 1 tab 2 caps or 1 tab Take with meals. Essential Fats plus E 1 softgel 1 softgel 1 softgel Take with meals. Vitamin D3 Plus – 5,000 IU 1 softgel 1 softgel Take with meals. Reduce to 1 softgel after 2 months. Additional nutrients that may be helpful include Warrior Mist™ for pain relief (rub on adjacent area several times daily), Echinacea (as drops or capsules), N-Acetyl-L-Cysteine – NAC (2 gms per day), Progesterone Cream (1/4–1/2 tsp twice daily), Prescript-Assist™ (2 capsules daily) or Poly-Dophilus capsules (3 caps, 3 times per day 10 minutes before meals) if on antibiotics. Consume a diet that provides good amounts of protein and relatively low in fat. Eat only lean meats, poultry and fish (e.g., sardines, salmon, mackerel) in the amount of a 5–10 ounces per day). Ensure a good intake vegetables, including high levels of dietary fiber. 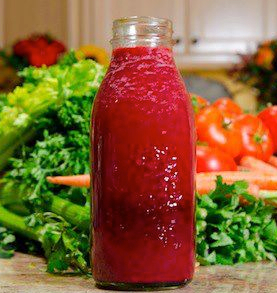 Drink 16 oz per day of fresh vegetable juices from carrot, celery, beets, cabbage, etc. Other healthy foods include fruits, whole grains (e.g., brown rice, millet, and quinoa), beans, nuts and seeds (sunflower, chia, flax, pumpkin, almond, walnut and sesame in small amounts — 2 or 4 ounces — are good). Try eating Hank’s Vegetable Soup several times a week. Avoid all sweets (sugar), processed/refined foods (white bread and pasta), preservatives, and artificial flavors and colors. Vary your diet. By following the recommendations and suggested supplement schedule, healing time for bone fractures should be significantly reduced and fractures will heal more completely with fewer complications. By ensuring your body receives the proper nutrients it needs to heal itself, and by engaging in other relevant practices (e.g., hydrotherapy), you and/or your loved ones can heal bone fractures successfully, and continue a healthy, vibrant lifestyle. A few years ago, I was introduced to a vegetable juice recipe known as “The Doctor.” The basic recipe is simple: carrots, beets, ginger, garlic, and lemon. After making and drinking this juice on a regular basis, I find I remain healthier all year. Not only do I feel better, but virtually never get sick, even in winter. I drink a lot more green vegetable juices these days. Greens I juice include kale, chard, broccoli, spinach, arugula, beet greens, mustard, and other greens. Yet, I still find myself gravitating toward my favorite blend of carrots, beets, and greens. Into this vegetable juice blend I occasionally juice an apple, which adds a touch a sweetness. This is ideal when sharing this drink with my five year old (and I make sure to leave out the garlic, too). I personally find there is something powerful and almost magical in the mix of ginger, garlic, and lemon that keeps me coming back. I have literally chased colds away. Other times, I have felt distinct energetic movements in my chest area. That must be the ginger’s effect. I have also noticed improved visual acuity. In any event, these spicy ingredients are warming and satisfying to the palate, as well as mind, body, and soul. Although winter is a distant memory and summer is coming on fast, I still enjoy this recipe, and it’s in my juicing repertoire all four seasons. I recommend you try it, and see how you like it. LET’S MAKE JUICE: Select the ingredients that appeal most to you. It’s helpful to have an experimental, creative mindset because you never know what you might like if you don’t try different combinations of ingredients you haven’t juiced before. The best juice combinations often arise from trying something new. Juice all ingredients using a vegetable juicer. A centrifugal juicer works fine, but for the highest quality juice, try a Green Star (twin gear) or Hurom (single augur) juicer. Strain and/or stir (if necessary), then drink. This juice is best sipped slowly and savored. The beets make this juice red, which will vary from dark red to orange-red depending on the ratio of carrots to beets. Note: You can run the entire lemon (or lime) through your juicer, or you can squeeze the juice separately and pour it into your juice. If you’ve never juiced hot peppers before, then start small using 1/3 of a jalapeño pepper. Work your way to an entire pepper. As you adjust to higher levels of heat, you may find you enjoy habanero peppers in your vegetable juice, like I do. If you don’t have any hot peppers available, you can add cayenne powder or tincture to your juice. An added benefit of consuming hot peppers in your vegetable juice during the warmer months is that it boosts circulation so much that it actually produces a cooling effect on the body. This is one reason hot peppers are consumed in tropical climates, like Thailand, famous for its “Thai Red” peppers. 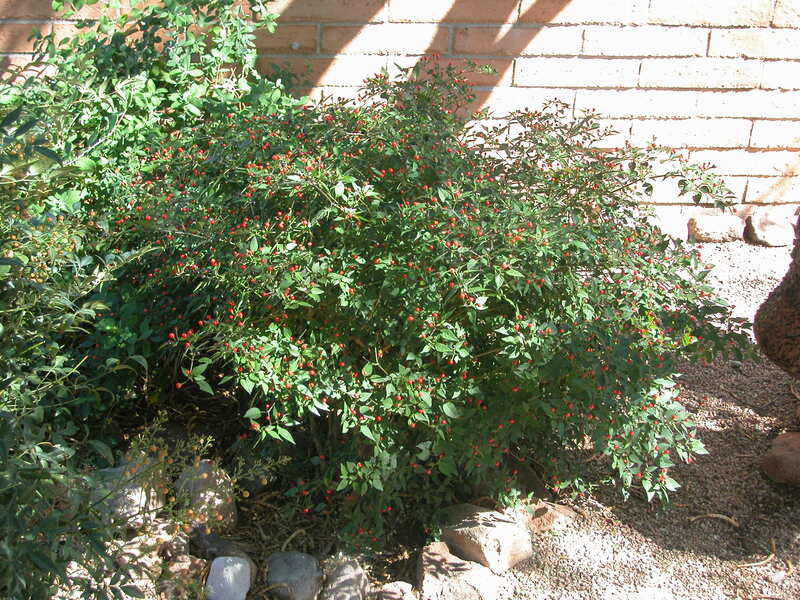 There is a tiny chile pepper native to my area in southern Arizona known as the “chiltepin” (we say “chill-tuh-peen”) pepper. They are round or oblong peppers usually found in abundance on low lying bushes. I have found them growing in the desert, near mountain ravines, and even in the Rose Garden at Reid Park in Tucson. They start out green, then turn purple, and finally a bright red when ripe. Chiltepin peppers are among the hottest I have ever eaten, but I believe they belong to a family of bird peppers (such as African bird peppers) that grow around the world. If you can find some of these peppers or any hot peppers with a similar level of heat (i.e., 50,000–100,000 Scoville heat units, which is the standard scale for measuring total capsaicin content), then you are in for a treat in your vegetable juice. As I mentioned earlier, once you are ready for it, the habanero is a great pepper to juice. Just remember not to share your vegetable juice with anyone who isn’t ready for intense heat (100,000–350,000 Scoville units)! Chile peppers are naturally high in vitamin C, so this gives you an added nutritional boost, and helps preserve the freshness of the juice. I include my favorite superfood (Rejuvenate!™) in the recipe because I am a huge believer in the power of superfoods to supercharge vegetable juices to make them more powerfully nutritious. Just as hot peppers add therapeutic value to juice by boosting circulation, superfoods like Rejuvenate! bring powerfully nutritious ingredients like chlorella and spirulina. Chlorella provides amazing nutrition (protein, chlorophyll, essential fats), but also powerful cleansing power due to the special properties of its cell wall that allow it to detoxify everything from heavy metals to toxic chemicals. Rejuvenate! is designed by Dr. Hank Liers of Health Products Distributors, Inc. to be a full spectrum superfood offering the highest levels of nutrition, detoxification, and support for rejuvenation, regeneration, and healing. Rejuvenate! superfood is actually part of a product line of five Rejuvenate! superfoods, each with it’s own flavor and nutrient profile, but all provide the benefits offered by high levels of dietary RNA. All of these formulas taste good in juice. For example, when I juice just carrots, or apples and other fruits, I prefer to add Rejuvenate Berries & Herbs. So, try to include your favorite superfoods right into your juice. If you don’t want to put them into your juice, make sure to consume superfoods at other times of the day. We at HPDI include juicing into our Master Rejuvenation Program for optimal health because it works to create health. And juicing works especially well when combined with superfoods, like Rejuvenate!. I highly encourage you to try Rejuvenate! superfoods because they are the only formulas that intentionally provide therapeutic levels of dietary nucleic acids, which are one of the nutrients most proven to support health and healing. “The Doctor” likely will remain one of my favorite vegetable juices. It’s easy to make, tastes great, offers distinct health benefits, and stores well in the refrigerator (at least compared to most other juices; I usually add a PRO-C capsule into the juice if storing it overnight). I can fairly guarantee that if you add more vegetable juices into your diet, you will become healthier, more alkaline, better hydrated, and probably both live longer and experience a higher quality of life. That’s the way I see it. So, try this juice recipe today. Just maybe “The Doctor” can help you avoid visiting your doctor. And in any case, it tastes great! HPDI has been highly involved in the development of the 2DOCS line of pet supplements, including pet vitamins, specific-condition formulas, and superfoods like Rejuvenate! for Pets. Specifically, Dr. Hank Liers is the chief product formulator for HPDI and 2DOCS products. As such, the design philosophy behind both brands is virtually identical, even though the 2DOCS pet line is highly customized for animal health and wellness. Having witnessed the development of 2DOCS lines of pet vitamins from the beginning, I am fortunate that all my pets have taken the formulas since they became available ten years ago. Indeed, my pets were among the first to try 2DOCS pet vitamins during the early years (circa 2003–2008) when we intensively (and extensively) tested and improved the products. Since then, we have continued to revise the formulas, and we’ve added new formulas to the line. I am also fortunate to have spent much time not only with Dr. Hank Liers, but also with Dr. Randy Aronson (aka, the Radio Pet Vet) who partnered with Dr. Liers to develop 2DOCS line of pet vitamins. I followed the development of the formulas, and I came to understand the reasons that each formula is important for health, and how to use them most effectively. For example, while Joint Defense Formula is designed to the improve and maintain the health of joints and connective tissues, as well as dramatically reduce inflammation and pain, it also works well to stop urinary incontinence. Dr. Randy initially used HPDI human formulas in his veterinary practice. His great success using HPDI supplements led to his requests for a line of supplements specifically for pets, and ultimately to his collaboration and involvement in developing 2DOCS pet vitamins. Dr. Randy places most of his pet patients on 2DOCS pet vitamins because they work, outcomes are better, and both pets and their owners are happier. Katie was an Australian Cattle Dog (Blue Heeler) born in the early 1990s. 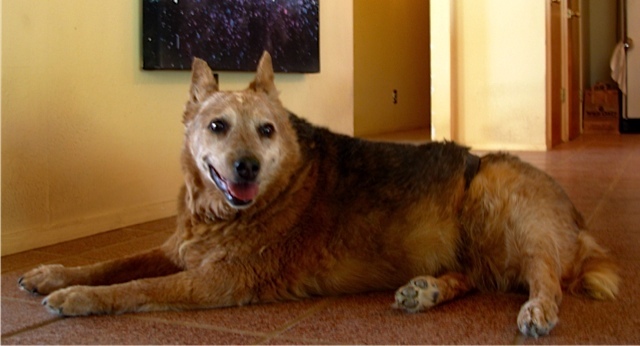 By 2002, years of hard play, and her highly active life on the open range desert of southern Arizona south of Tucson, resulted in Katie developing arthritis and severe joint pain. Walking became more difficult. She became sedentary and gained weight, as her activity level progressively declined. Exercising so little, she now tired easily and her breathing would quickly become labored from walking a short distance. I wondered about how much longer she would live because she was a shadow of her former self. In 2003, we put Katie on 2DOCS pet vitamins: Pet Mighty Multi-Vite (large pet), Pet Essential Fats (large pet), and Pet Antoxidant Formula (known back then as Pet-C Plus™). Shortly thereafter, she visibly gained energy and began to walk more often and with greater confidence. It was wonderful to see her no longer be content to spend the day lying around or trying to walk while visibly in pain. 2Docs multis are high-potency, human-grade formulas. The positive changes in her physical capacities and appearance became more pronounced within about two weeks. Her coat was smoother and shinier, her eyes glowed with life, and she “smiled” more often. She now joined me on walks for the first time in several years. Neighbors who knew Katie from years past even commented on her physical condition, partly because they had not seen her in a while. Shortly thereafter, we added 2DOCS Rejuvenate! For Pets into her regimen. Again, her energy levels rose immediately. But it was not until after she consumed Rejuvenate for about three weeks that we saw significant changes. She became more alert and responsive. Her endurance and capacity for exercise was dramatically better. She breathed easier. Katie walked more, and she was happy regardless of whether or not she exercised. Something more fundamental was changing. She was becoming healthier from the inside out, and regenerating herself in ways that made her look, act, and feel years younger. Rejuvenate!™ superfood provides dietary nucleic acids. The positive changes Katie exhibited were exciting for us because she was transforming before our eyes into a healthier dog. We were astonished! Yet, in many ways these changes were not a complete surprise. In fact, we almost expected them because we had previously witnessed similar changes before in ourselves and in many of HPDI’s customers due to changing diet, and taking nutritional supplements and superfoods. Her changes were dramatic nonetheless. We also added 2DOCS Joint Defense Formula into her regimen. This made a huge difference in her joint pain by itself. When combined with the other 2DOCS pet vitamins, her suffering was greatly alleviated, as evidenced by her desire (and ability) to walk. Katie’s diet was healthy before we put her on 2Docs pet vitamins and superfoods. While she ate some Evo grain-free dog food, we primarily fed her sardines, grass fed meats (whenever possible), and shredded fresh organic vegetables. Katie continued to gain strength (and muscle mass) and lose fat. She now seemed content all the time. It was clear she was not experiencing significant pain, and she was fully aware mentally. For three years, she took take daily walks with me with just a few short rest periods during a walk. Katie finally passed away in 2007 at approximately the age of sixteen. I am certain that the 2DOCS pet supplements helped to add about five years to her life. More importantly, Katie was healthy and happy, and she experienced a high quality of life until the end. 2DOCS pet vitamins, supplements, and superfoods made a big difference in Katie’s health, longevity, and quality of life. 2DOCS supplements are designed to provide pets with all the benefits offered to people by HPDI’s human formulas. We believe that any pet can gain significant improvements in health, as well as better maintain a state of good health if they are provided with the pet vitamins, supplements, and superfoods that make it possible. 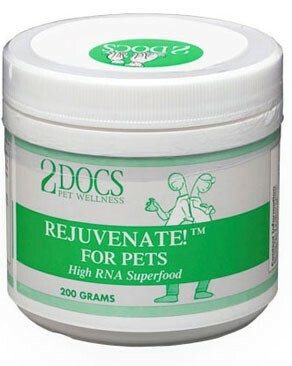 2DOCS stands for optimal pet health, healing, regeneration, and rejuvenation. In keeping with our system of foundational supplements for humans, we recommend four primary supplements all in the red label (and more or less in this order): multivitamins, antioxidant formulas, essential fats, and Rejuvenate! For Pets superfood. So, if you’re just starting your pet on supplements, you could start with all four red line formulas, but you would at least start with a Mighty-Multi multivitamin (for large or small pets). That alone will support improved health. Next you would add a Pet Antioxidant Formula, Pet Essential Fats (for large or small pets), and then Rejuvenate! For Pets superfood. In certain instances, you might add the essential fats or Rejuvenate! For Pets before the Antioxidant Formula, depending on the unique needs of your pet. The other (i.e., non-foundational) formulas in the 2DOCS line are specific-condition formulas. That is, most of these formulas are intended for use with a condition, such as allergies (Allergy Defense), joint and/or connective tissue health (Joint Defense Formula), or gastrointestinal problems (e.g., diarrhea) (GI Defense). Green label superfoods like Cell Support for Pets can be used for specific conditions, but are generally used to boost and maintain overall health. 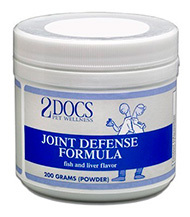 Joint Defense is among 2Docs’ most popular formulas. We also recommend changes or improvements to your pets diet. This might include fresh meats, raw organic vegetables, and the avoidance or reduction of grain-based pet foods (e.g., avoid wheat, corn, barley, oats, etc.). In addition to reducing grain-based pet food, avoid genetically modified ingredients (i.e., GMOs) (which includes almost all non-organic corn and soy), as well as synthetic preservatives, fillers, colorings, flavorings, etc. If you use a commercial pet food (either by itself or as a supplement to meats and vegetables), there are several readily available grain-free options. For organic pet foods, you will have to do a bit more research, or make your own. We are confident that 2DOCS supplements can help your pets attain higher levels of health and well being. Especially when combined with a healthy natural diet, exercise, and a loving home environment, pet supplements can effectively support optimal health for pets. Please visit the 2DOCS area on the HPDI website to order or learn more about 2DOCS human-grade pet vitamins, supplements, and superfoods. Read more about my pets’ experience with 2DOCS’ pet vitamins, supplements, and superfoods in Part II of this series (forthcoming). GIVE YOUR DOG HEAVENLY HEALTH! Does your dog suffer with a dull coat, bad breath, or a lack of energy? Does he sleep all day or drag on your daily walks? Is he dog tired, doggy dazed, ”or just doggone” out-of-it? Now imagine your dog running in your yard, scampering here and there, playing fetch, chasing balls, rolling on his back—behaving more like a puppy! Would you be pleased if your dog gained super energy? Had a more luxuriant coat? Or was more perky? A higher of canine health and well-being is easily achievable. My dogs love the taste of Dog Heaven and yours will, too. Why? Because your dog knows a good thing when he smells it! For starters, Dog Heaven is natural. In fact, it’s just about the most natural meal you could ever prepare for your dog. There are no artificial ingredients added, no chemical additives, preservatives, dyes, fake flavorings, fillers, or other junk. This is a perfect recipe for pure canine health! Many of the ingredients are organic or at least non-GMO, which means no ‘Frankenfoods,’ and the fish is wild caught. And instead of some dried-up vegetables or vegetable powders, Dog Heaven calls for real organic vegetables. You can always add more or modify the recipe. Directions: Place sardines in dog bowl and add a little water (filtered if possible). Add the Rejuvenate! for Pets, dry dog food, and/or fresh vegetables (preferably organic). Add any other favorite ingredients you desire. Mix and serve. I use a Japanese-style mandolin slicer (Benriner brand) to shred vegetables, but any mandolin or shredder device should work fine. You can also use a food processor. Note: The amounts listed above serve a single dog. Buy canned sardines at your local supermarket, dollar store, or ethnic food market for two or three dollars per can for up to 15 ounces. Larger cans of sardines are more cost-effective (per ounce), so consider feeding your dog part of a large can (for example, serve 4–8 ounces from a 15 or 16 ounce can), or simply use the large can to feed up to 2 or 3 dogs. Serve Dog Heaven at least three or four times per week for best results. Sardines are an ideal food for dogs because they provide large amounts of dietary nucleic acids like RNA (for energy). RNA and other nucleic acids help boost energy production (as ATP) within cells, which ultimately means more energy for your dog. Sardines also provide essential fatty acids (like omega-3s for glossy coats), calcium, oceanic trace minerals, and other excellent nutrients. Note: Do not regularly substitute other kinds of fish (tuna, salmon, anchovies, etc.). Sardines not only provide more nucleic acids per gram, but they also contain less mercury and other contaminants because they are so low on the food chain. Therefore, Dog Heaven calls only for sardines (the smaller the better). I’ve never found a better superfood for dogs (or cats) than 2Docs Rejuvenate! for Pets. You can learn a whole lot about it here, and through July 8, 2013 you can save 30%. The chlorella in Rejuvenate! for Pets is a superfood in itself. It offers high levels of RNA and other nucleic acids that will further boost your dog’s energy levels and capacity to heal. Chlorella also provides high-quality protein (greater than 60%), chlorophyll, essential fats, and minerals. The super-high chlorophyll content cleanses, deodorizes, and will sweeten your dog’s breath! If you serve Dog Heaven often (at least 3–4 times per week), your dog will quickly attain a state of being super nourished. So instead of consuming empty calories (especially from low-grade, high-carbohydrate, grain-based commercial dog foods), he will be be getting real nutrition. And you can make it yourself easily in your kitchen. Chia seeds were a sacred food among ancient Native Americans. These amazing seeds powerfully boost energy levels. In addition, they contain essential fatty acids (60% omega-3s), complete and balanced protein (20%), fiber (5% soluble), and lots of minerals, vitamins and antioxidants (which protect its nutritional value). That’s why chia seeds are considered a “miraculous” superfood all by themselves. The fiber in chia allows the complex carbohydrates it contains to be assimilated slowly by the body, thereby providing sustained nourishment, reducing hunger, and keeping energy levels on an even keel. Chia also hydrates due to its capacity to absorb up to 12 times it’s weight in water. This water allows the chia to form a kind of gel that holds water for use by the body and that sustains the body’s needs for hydration. SUPPLEMENTS CAN HELP DOG HEAVEN CREATE GREATER CANINE HEALTH! Did you know there are pet supplements designed especially for dogs just like yours? 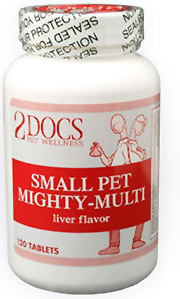 2DOCS offers a complete line of high-quality pet supplements, including a full-spectrum, high-potency multivitamin. To see all 2DOCS’ supplements, check out the Pet Product Overview. Dog’s can’t talk, of course. But your dog will thank you for feeding him Dog Heaven and nutrition-boosting pet supplements from 2DOCS. He’ll thank you with his sparkling eyes, soft fur, and big doggy grin. He’ll thank you with his pink tongue, wet nose, and wagging tail. And he’ll thank you with many happy licks! My journey into designing pet supplements began in the realm of human nutrition. I have been a formulator of human nutritional supplements for more than two decades and have designed hundreds of products. My focus from the beginning has been to design the purest and most effective products that create health naturally. My approach to product design has led to a recognition for excellence from both professionals and consumers in the national and international communities. In the early 1990s, in collaboration with Dr. Randy Aronson, VMD, we began testing human-grade formulas for veterinary use, achieving spectacular results. We observed that pets were healthier, happier, and amazingly vibrant. We’ve seen glossier coats, brighter eyes, greater energy, and more zest for life. Our dream was to share our expertise and help create pet health by offering nutritional supplement formulas that will do for your pet what the best human-grade supplements do for people…support health naturally! 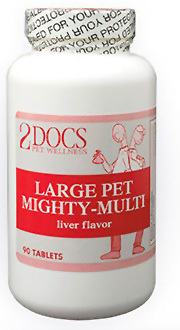 In 2004 we introduced the 2DOCS line of pet supplements. 2DOCS pet supplements use only the purest ingredients available (often USP) and we specify a guaranteed or standardized potency whenever possible. We purchase our raw materials only from reliable suppliers dedicated to providing the highest-quality ingredients. 2DOCS pet supplements are not designed to target price points, but to achieve the best results. For example, we choose whenever possible to use coenzyme forms of vitamins in our formulas that may cost ten times more than the usual forms used by vitamin manufacturers. Coenzyme forms of vitamins are the forms that are used in the body and are usually found in food. Our great attention to quality and purity leads to products that cost more, however, our quest for your pets well-being is always met and well worth the extra cost! As you can see from the following endorsements and testimonials, 2DOCS pet supplements are simply effective at creating health naturally!! SMALL PET MIGHTY-MULTI: a multivitamin, mineral, and cofactor tablet product that provides the basic nutrients needed by your small pet (less than 30 lbs) on a daily basis. A high-quality product that contains coenzyme forms of vitamins and Krebs cycle mineral carriers. It is flavored using desiccated fish (tuna) and liver (bovine). LARGE PET MIGHTY-MULTI: This product is the same formula as SMALL PET MIGHTY-MULTI, but comes in a larger tablet for pets weighing more than 30 pounds. SMALL PET ESSENTIAL FATS: This product is important for skin and coat health, reducing allergies, controlling inflammation, and trapping free radicals. It contains the highest-quality molecularly distilled fish oils (omega-3) and cold-pressed borage oil (GLA/omega-6). Also, the product contains Vitamin E, as mixed tocopherols and tocotrienols, that provides antioxidant protection. It comes in a small softgel capsule. LARGE PET ESSENTIAL FATS: The same formula as SMALL PET ESSENTIAL FATS except it also provides astaxanthin for added protection against free radicals and inflammation. It comes in a large softgel capsule. PET ANTIOXIDANT FORMULA: provides antioxidant protection in a small gelatin capsule. Contains buffered Vitamin C, grape seed and green tea extracts, glutathione, NAC, alpha-lipoic acid, and selenium. ALLERGY DEFENSE FORMULA: relieves itchiness, aids breathing, and eases the discomfort of an allergic pet. Significantly reduces skin irritation and the scratching. Contains Vitamin C, turmeric, rutin, bromelain, nettle leaf extract, NAC, licorice extract, magnesium, and alpha-lipoic acid. It is flavored using desiccated fish (tuna) and liver (bovine) and comes in a small gelatin capsule. JOINT DEFENSE FORMULA: an advanced formula that reduces joint pain and inflammation. This product helps to build and rebuild healthy joints and comes as a powder and also in a small gelatin capsule that can be opened and put on your pet’s food. It is flavored using desiccated fish (tuna) and liver (bovine). GI DEFENSE: a synergistic formula that is used to reduce intestinal pain and inflammation as well as diarrhea. Contains marshmallow root and slippery elm bark powders, glutamine, rutin, inulin (a prebiotic from chicory root), and probiotics. It is flavored using desiccated fish (tuna) and liver (bovine). It comes in a small gelatin capsule. REJUVENATE!™ FOR PETS: a high-RNA superfood powder supporting regeneration, vitality, and healing. It offers very high nutrient density and super-vitalizing ingredients including chlorella, d-ribose, nutritional yeast, chia seeds, rice bran solubles, spirulina, Vitamin C, chlorella growth factor (CGF), magnesium, dulse, kelp, RNA, folinic acid, and methylcobalamin (Vitamin B12). CELL SUPPORT FOR PETS: provides nutrients supporting repair, free-radical defense, immune strengthening, detoxification, tissue oxygenation, and healing processes. This formula offers extremely high nutrient density, vitalizing nutrients (e.g., vegetable sprouts), and synergy afforded by combining these ingredients in a single formula. Includes a broad array of herbs, antioxidants, and nucleic acids. It comes as a powder that is flavored using desiccated fish (tuna) and liver (bovine source). 2DOCS formulas do not contain wheat, gluten, corn, dairy products, sugar, eggs, preservatives, or artificial colorings or flavorings. 2DOCS avoids using fillers, but when necessary, we only allow the use of USP grade microcrystalline cellulose. My friend and colleague Dr. Daniel Murray, DVM from the Animal Care Center in Green Valley, AZ has this to say about 2DOCS products: “My own background in biochemistry has allowed confirmation and some understanding of the foundation for what Dr. Liers has developed for 2DOCS. We have dealt with many different supplement companies with shiny brochures and big advertising budgets, but none that compare in overall quality and thought to what the 2DOCS line can offer. I initially designed 2DOCS’ pet formulas because I wanted human-grade supplements for my own pets. As chief formulator for Health Products Distributors, Inc., I had already given my own pets the HPDI formulas I designed for humans. And my pets thrived. Later, HPDI began selling human formulas to Dr. Aronson for use in his veterinary clinic. The improvements in the health of the animals administered these human formulas were nothing short of spectacular, and I expected this to be the case since I had already seen the results with my own pets. After designing the 2DOCS line specifically for pets, we began to see in earnest how great the impact in pet health could be. After ten years of witnessing significant improvements in the health and well being of many animals, I am excited to share with you the line of products I designed. We are certain they will work for your pets. Try our products for your pets and see the difference in their health and vitality. In this world, pets must deal with similar levels of toxins, stress, and dietary deficiencies that their owners experience. In fact, given the fact that processed pet foods typically are not organic, contain high levels of grains and carbohydrates, as well as genetically modified ingredients and toxic preservatives, it is any wonder pets succumb to the same degenerative diseases as do their owners? Animals in the wild almost never experience these health problems. 2DOCS products are formulated to provide high levels of essential nutrients, and in the case of blue line specific condition formulas and green line superfoods—to provide therapeutic levels of nutrients required for optimal health and well-being. Your pets deserve the best nutritional supplements you can provide for them. We offer just those formulas that can make a huge difference in their lives…and yours. To learn more and to order 2DOCS pet supplements (now on sale for 30% off) please click here.